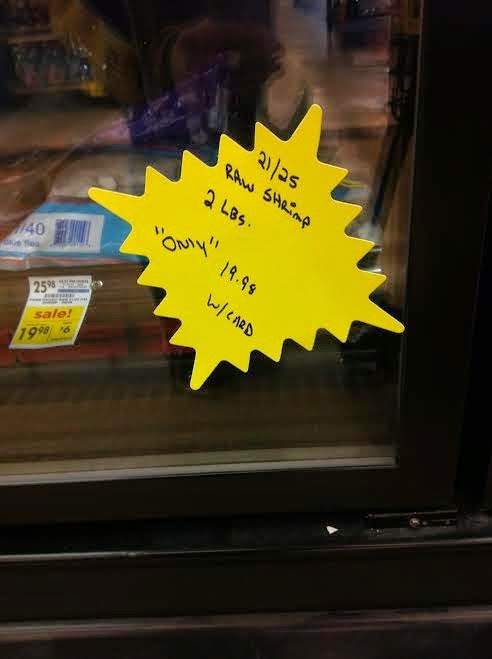 I guess shrimp is still pretty expensive, according to whoever made this sign. Thanks Phyllis. I believe my cat would "like" this.